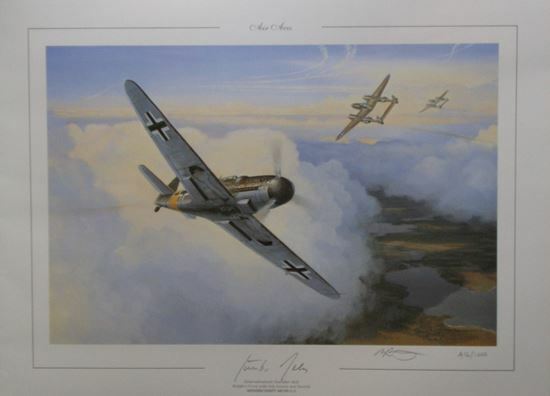 This release from the 'Air Aces' series features the Me109G-5 of Gunther Rall whilst he was flying with JG11 in the West. Rall scored most of his victories whilst in Russia but he did serve in the West with both JG11 and JG300. Here is Me109G is shown about to engage US P-38 fighters. The Pint measures 21 X 16 Inches and comes with a Certificate of Authenticity.